In January, more than 600 Supplemental Nutrition Assistance Program – Education (SNAP-Ed) professionals across California gathered in Sacramento for the SNAP-Ed Local Implementing Agency Forum. This two-day annual gathering celebrates SNAP-Ed work, offers a platform to share lessons learned, and provides training opportunities. The 2018 theme was: “Building Power through Stories of Change”. During one of the plenary sessions, Stories of Change: Voices from the Community, we heard directly from participants about their struggles to achieve good health in difficult situations – where time and money are limited. Listening to SNAP-Ed participants' stories of life changing experiences in health and fitness was captivating. However, one thing was clear – it all began with first steps: deciding to change, walking into a SNAP-Ed class, bonding with a compelling educator. These often invisible steps are needed to make enduring change. The stories solidified the importance and impact of SNAP-Ed in the community. The SNAP-Ed LIA Forum also showcased county work through a poster session. During this time, we heard UC CalFresh Nutrition Education Program educators and administrators discuss their work along with their SNAP-Ed colleagues. The level of commitment and collaboration that is occurring every day across the state was compelling. Creating food bags for the community. In Stanislaus County, 40 percent of low-income families are food insecure. The United Way, UC CalFresh Nutrition Education, Second Harvest Food Bank, and Caswell and Bret Hart elementary schools worked together to find ways to increase elementary school students and their families' access to and consumption of healthy food and beverages. They created the CHEF program; CHEF stands for Cooking, Healthy Eating & Food. Participant's help prepare meals during nutrition education classes. They take home ingredients to make the recipe for their families at the end of each 4- to 6-week series. The classes teach families about MyPlate and how to make long-term, healthier choices by reading labels, exercising portion control, and shopping on a budget. CHEF also provides more than 340 children in the two afterschool programs with 18-pound bags of food twice per month. From 2016 to date, 197 adults participated in nutrition education classes. 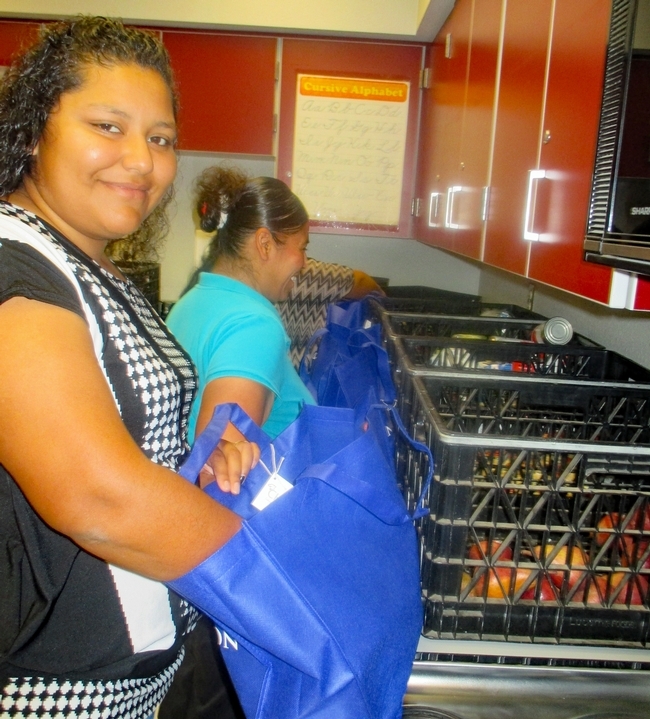 More than 200,000 pounds of healthy food were provided to Stanislaus County families. 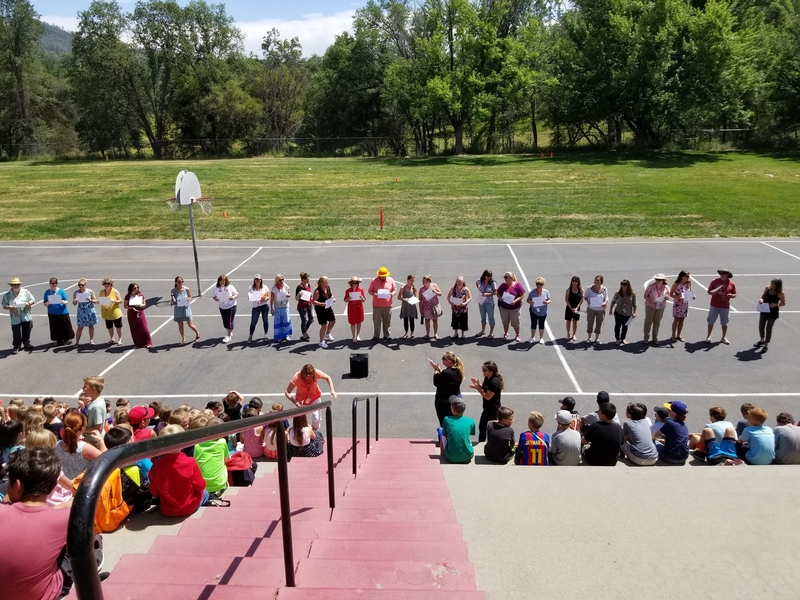 In Tuolumne County, the UC Cooperative Extension Central Sierra region helped start the "Tuolumne County: Step It Up" campaign across the school district. Thirty percent of the population in Tuolumne County is overweight or obese. The UCCE staff considered how to assist in reducing this statistic and provide a model for a simple way to achieve a healthier lifestyle. UC CalFresh, Tuolumne County Schools, County Public Health, and the Local ATCAA Food Bank invited school staff to form teams at their schools for a six-week competition, logging their steps along the way.  The competition ran from April 6, 2017, to National Walking Day, May 17, 2017. The data were captured through online spreadsheets and emailed weekly by a designated team captain. The ‘Step It Up' competition garnered significant community support. Local businesses donated prizes for winning staff, which were presented at school-wide assemblies with certificates for each participant. Students contributed to their step count through recess walks, “walk-and-talk” roving lectures, or school-wide walking mornings. With five teams and over 180 participants, the steppers collectively walked 25,081 miles. The winning school was acknowledged by their district school board and have enacted a policy dedicating time every Wednesday morning to walk as a school. SNAP-Ed: It's a life changer! As members of the community, UCCE educators and staff lead the way to build resources that establish healthy lifestyles where they live and serve. Ultimately, their daily work is building the capacity for local institutions and leaders to make a long lasting difference. Hats off to all of you, your partners and community members – your efforts make SNAP-Ed a life changer!